What is the Water/Wastewater Advisory Committee (WWAC) and how can the WWAC assist your community? The WWAC was implemented in 1992 and received national recognition as a unique model because of the cooperative efforts of the funding and regulatory agencies involved. Four state agencies partner in support of water and wastewater services. The WWAC provides project development guidance and recommends project financing to communities through its application process. How often does the committee meet and for what purpose? Representatives from the member agencies meet the first Wednesday of each month to review pre-applications for water/wastewater projects. The WWAC meetings are open to the public, and potential applicants may attend the meetings. Projects have to be submitted to the Arkansas Natural Resources Commission by the 15th of a month to make the agenda for the next meeting. New Water Sources - Wells, Other Systems, etc. What are the sources of funds used to fund Water and Wastewater projects? The Arkansas Economic Development Commission administers the funds from the State Community Development Block Grant (CDBG) program used for Water and Wastewater projects. Non-entitlement cities and counties are eligible to apply for these State CDBG funds. Projects funded must certify that at least 51 percent of the households served are low or moderate income, based upon the HUD Section 8 income limits. Please contact Jean Noble, the Director of the Grants Management Division, at (501) 682-7389 for more information about the State CDBG water and wastewater grant program. 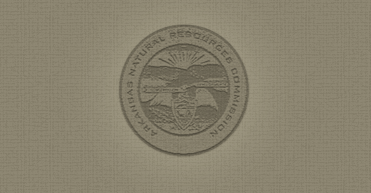 The Arkansas Natural Resources Commission administers two Federal and three State programs which provide financial assistance through loans and grants to Arkansas entities for water and wastewater projects. Funds can be used for new or existing systems. Please contact Richard Dawson at (501) 682-3934 for information on the programs available through the Arkansas Natural Resources Commission. The USDA - Rural Development awards loan and grant funds to entities. Funds can be used for new or existing systems. Please contact Stephen Lagasse at (501) 301-3267 for more information on the USDA - Rural Development programs. Communities Unlimited assists entities in successful operation and maintenance of water/wastewater systems as well as short term financing. You can contact Jerry Kopke at (479) 443-2700, ext. 128, for more information about their funding and technical assistance programs. What has to be submitted to the Water/Wastewater Advisory Committee? The Water/Wastewater Advisory Committee has developed guidance for what has to be included in a submittal. There are separate guidance documents for Water projects and Wastewater Projects. Typically, the review of a project will take a month. However, if the information submitted is not complete or the agencies reviewing the information have questions, the Committee will send out a comment letter asking for additional information. Once each agency is satisfied, the Committee will provide a recommendation letter listing the potential funding sources for the project. The Committee will not dictate the source of funding that must be used. The Committee separates projects into Water and Wastewater and has forms and guidance documents for each type of project.